This story about President Obama’s trip to India costing U.S. taxpayers $100 million a day was most likely a bogus rumour attributable to an unnamed Indian official, but picked up and circulated by the political right. Its taken time, but Friedman shows he does have some good writing/reporting left in him: http://is.gd/hl2E4 (New York Times). But kudos for the original fact checking goes to CNN’s Anderson Cooper who felt compelled to check the facts after right-wing nut job Michele Bachmann used Obama’s trip as an example of where the U.S. could cut its deficit. The second stop on my quest to visit a 100 London pubs and write about them was The Blackfriar. This historic pub (over a 100 years old) stands on the site of a former Dominican Friary. One end of the building is has a triangular edge, which makes it impossible to miss. The pub was recommended by Ben, who promised me I’d love the place. I wasn’t disappointed. We met there at 8:00 PM on a Wednesday night and there weren’t too many other patrons, which was nice. The interior is beautiful, with intricately carved wood and marble depicting friars and much more. Ben and I tried the 4 ales that were available on tap and I particularly enjoyed the Lord Marple. The other three were London Pride, Landlord, and Hookey Gold. Since we were there at dinner time, I also tried a “famous British pie”. The only vegetarian option was the Lentil and Cashew nut tart, which was also really good. Unfortunately I only had my Nexus One with me so the pictures I have aren’t great. Next time, I will have to remember to carry the dSLR. I had been having a little trouble with my iPhone 3GS. The software was fine, it was running iOS4.0 (jailbroken and unlocked). It used to be an AT&T locked iPhone, so to use it in the UK, I had to keep it unlocked. The hardware was fine too, save the headphone minijack. If I was walking and listening to something (which I’ve been doing a lot, lately) one channel would often cut out. It was bothersome, but nothing I couldn’t live with for a bit. Then on a telephone interview or two (with me using the included iPhone earphones/mic), interviewers mentioned they couldn’t hear me very well. I didn’t quite put two-and-two together until I spent the entire day repeating everything I said on the phone one Friday two weeks ago, when I was working with a consultant to rewrite my CV. That did it for me. Realising that possible work opportunities depended on recruiters and employers being able to hear and understand me on the phone, I started looking for a new phone. With the release on Windows Phone 7 around the corner, I stopped in at an O2 store to check out the phone in action. They had the HTC HD7 on display which I could play with. The hardware: The phone looks and feels really nice. It has a solidity to it that I’ve come to expect for HTC devices. The 4.3 inch screen is a beauty, but just a little to large for me. The software: This was my first time playing with Windows Phone 7, and I must say, I’m impressed. The UI has a fluidity to it that trumps anything else I’ve used. One of the key things I look for in the UI/OS is how long a first time user takes to figure things out. And as a first time user, I was very comfortable navigating in and out of the various apps in under 5 minutes. I was pleasantly impressed by Internet Explorer on the phone (I was really dreading it, after being used to Safari on the iPhone). Cricinfo.com loaded flawlessly. The things holding me back from getting a WP7 device is that I couldn’t get one unlocked or “sim-free” yet. Also if I purchased the devices contract-free in the UK, they are still locked to the career. Other things holding me back are the lack of copy & paste, a native Mac client for syncing, and the relative lack of multi-tasking for third party apps. Some of this has been fixed already and others I’m certain will be fixed very soon. Also I don’t yet own an XBOX 360, so I’m not tied to the Microsoft platform in anyway. I also looked at several Android phones (unlocked of course). The phones that I was considering were the HTC Desire, Desire Z, Desire HD (all £400 and above) or the Wildfire (around £200). My rationale here was that I would probably want the iPhone 5 when it arrived in the middle of 2011, so a temporary Android device would let me get a taste of the platform. But given my lack of a job, I wasn’t about to plonk down some serious cash on a phone yet. So I listed my iPhone on London Craigslist, which isn’t very popular here, one morning for £250. And lo, I got a serious offer that evening. I wasn’t quite ready to sell, since I had listed it just to see if any fish took the bair. But as Reva said, if I’m being offered £250, from a serious buyer, I should take it. It would only be harder to sell later on. I sold it that night, and reverted to using my ageing Sony Ericsson w880i while I scoured the Internet and high-street stores for an Android device I wanted. What complicated matters even more was rumours of a “Nexus Two” to be released shortly. I figured if I was getting a phone to experience the platform, it should be able to update to the latest OS as soon as possible, à la Nexus One. I waited a few days and the tech blogs didn’t really heat up with the possibility of the Nexus Two with Gingerbread anytime soon. 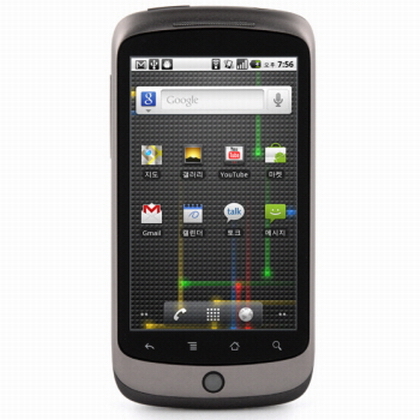 If I could buy a Nexus One for around £300, that would be perfect, I thought to myself. Randomly one morning, I looked on Gumtree (UK’s Criagslist) for a Nexus One in decent shape. I found a very friendly lady selling a brand new, still in the box, Nexus one and she was willing to part with it for £300. So for only £50 pounds more than I sold the iPhone for, I’m currently rocking a Nexus One running Froyo. Not bad, eh? Yes, the model itself is more than a year old, but it is likely to be one of the first phones to get new upgrades of the OS. This was my top criteria for any Android model I got, anyway. Given that the Galaxy S devices are still running 2.1 (Eclair) when 2.3 (Gingerbread) is around the corner, is pathetic. So I’ve been enjoying this phone for about a week now, and it certainly fails the earlier test I mentioned (a novice to the platform being able to use it in under 5 minutes). But I love the configurability. I’ve not rooted it, and I don’t plan to at the moment. I’ve got most of the apps I normally use for free from the Android Market, including a few games to keep me occupied. I like that I don’t need a computer to get it up and running, or really to do anything on it, including downloading podcasts and music. The phone came with Android 2.1 installed, and I spent a day or two pinging the servers to get the OTA update without luck. Finally, I manually updated it to 2.2 I hope 2.3 isn’t such an issue, but I’m not sure if this has to do with the fact that the Froyo rollout for Nexus One is over or that I’m running it on Orange. Additionally, I had to manually set the Orange APN for the UK to get 3G service (something I didn’t have to do with the unlocked iPhone). The screen is not great, but the camera is better than the 3GS. The keyboard is definitely a downer, but I like the audio input, which actually works very well in a quiet environment. And I still can’t figure out how to get Swype on it. Battery life seems decent, but I’ve not put it through any heavy usage yet. I’ve also been killing of background tasks fairly often. And the real bummer? The native GMail client doesn’t support copy/paste from a non-editable text field. Overall, one week into using the device I’m happy. I plan to keep using this till next Summer at which time I may upgrade to the new iPhone if it is compelling enough. The first stop on my legen — wait for it…dary (!) pub crawl mission was The Castle. I picked a place I could walk to from home, but not close enough to make it seem like I was being lazy. The Castle is on Pentonville road, a few minutes walk from the Angel Tube station. I had walked past it the previous week and it had a certain appeal from the outside. It was missing the polish of a chain pub (which often means they lack character) and also wasn’t as run down as some of the independents I’ve seen around Highbury & Islington. I got there mid-afternoon on Monday, Nov 1 and paused outside making sure this was where I wanted to start my project. It seemed light and airy inside, with only a handful of people so I popped my head in. I walked to the bar and was immediately greeted with a smile (which rarely happens in London). One of the beers on tap caught my attention, mainly because of the name. It was called TEA, but I soon realised this stood for Traditional English Ale. I inquired about it and was offered a taste. I always accept a taste. I liked it and ordered a pint. Being a Monday afternoon, the pub was mostly empty and I had my choice of tables. I usually prefer to sit at the bar, but British pubs generally don’t have too many stools. This allows people easier access to the bar, which I like. The beer was a lovely honey/amber coloured best bitter. Funnily, I found out later that TEA was voted “best bitter” in 2000. Not a very hoppy ale, I found the beer very drinkable but somewhat characterless. A fruity finish capped a very enjoyable £3.25 beer. The staff at The Castle were very friendly, and as one Yelper puts it, the pub has an ambiance of being cool without knowing it. The atmosphere is very laid back, and the few tables up front are complemented by some cushioned couches in the rear. The lunch menu seemed very interesting, if a little pricey. There are stairs at the rear leading to a roof deck but since it was a little nippy, I didn’t check it out. I imagine the place is quite bustling on a balmy summer evening. The Castle is definitely a place I’ll want to check out again when I have a little more time and money, and I’m eager to try one of the delicious looking items on the menu. Inspired by @abandonedlondon‘s 100 Pubs Project, I decided to start a similar mission of my own. What better way to get to know London than through its pubs? It also helps that I love beer. I would walk a 100 miles to to try a new beer, and walk a 100 more to drink a pint with a friend. Hyperbole aside, my fondness for beer goes back to the first drink I had after turning 21 (yes, I was 21!) during my Ann Arbor summer. Living in Philadelphia for so many years was a treat for a beer-aficionado with plenty of specialist brew pubs and micro-breweries in the area. I once brewed my own beer, that I like to say looked like a nicely poured Guinness but tasted like a Bud Light. I like to experiment with beers and will go out of a my way to try a new one, so now living in Europe (and specifically London) is a dream come true for a beer lover. I’ve already been to several pubs and tried many ales, but only now decided that documenting my visits on my blog will be a worthwhile exercise and experience. Plus it gives me something to look forward to during my unemployment. For the purposes of this “mission” (I will be calling it a mission so as to not directly copy Doreen’s title) I will attempt to visit 100 pubs over the next few months and drink at least a pint of beer/ale/bitter/brew. If I’m feeling spendy, I might get some food too (altho British food…not so much). I will also write about my visit and hopefully have a picture or three to remember the visit by. So without further ado, up next is a post about pub # 1.